Obituary for George Thomaidis | Boucher Funeral Home, Inc.
George Thomaidis, 83, of Leominster, died peacefully Saturday, April 6, 2019 in Fitchburg Healthcare. 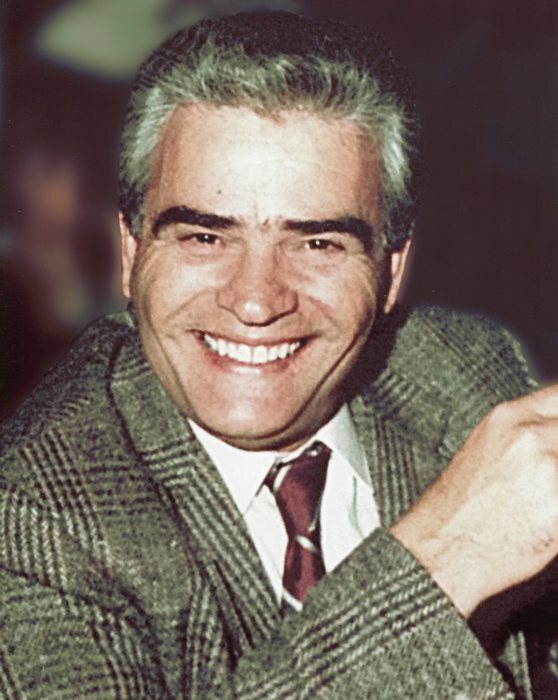 Born in Athens, Greece on November 5, 1935, he was the son of the late Konstantinos and Aikaterini (Pappas) Thomaidis. George was raised and educated in Greece, moving to the United States in 1955. He became a United States Citizen in February of 1963. He was a self-employed painter and builder for many years retiring in 1997. He was a member of the Holy Trinity Greek Orthodox Church of Fitchburg and Annunciation Parish/Our Lady of the Holy Rosary Church of Gardner. He enjoyed watching tennis, soccer, and old Western movies, going to Greece and to the beach. He was a real handyman always doing projects around the house. His most precious time was spent playing cards with his friends, and spending time with his family. George leaves his wife of 21 years Alice V. (Allain-Liscomb) Thomaidis of Leominster; one son Charles Thomaidis of Salem; one step-son Matthew Liscomb of Salem; one step-daughter Carleen Faletra and her husband Christopher of Murietta, CA; grandchildren Maria Cameron and her husband Robert, of Salem, Kasandra DiOrio and her husband Joey of Beverly and Braydon Faletra; great grandchildren Olivia Cameron, Ashton Cameron, and Joey DiOrio; and several nieces, nephews, and cousins. He was predeceased by his sister Maria Divari. A Funeral Mass will be held Saturday, April 13th at 12:30 p.m. in Annunciation Parish/Holy Rosary Church, 135 Nichols Street. Gardner. Burial will follow in Notre Dame Cemetery of Gardner. There are no calling hours. Family and friends are asked to report directly to church the morning of the services. Memorial contributions may be made to St. Jude Children’s Research Hospital, 501 St. Jude Place, Memphis, TN 38105. Please reference in memory of George Thomaidis.